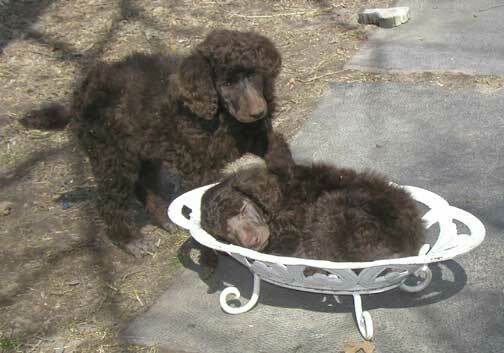 Royal Standard Poodle Health and Welfare: by Tes Ingebritson. What is "A Perfect World" in buying your next pet "to your viewpoint?" What can you accept, or not, in health for your Royal Standard Poodles? I do my best to raise and breed a healthy lineage to the knowledge and research I have at the time. It is my goal to help you have a positive outlook on your next pet, not to be "looking" for problems, only know that the information and sites here are for reference to help provide awareness--you decide from there. And remember, a good breeder does their best to test the parents for the future offspring, yet Mother Nature always has the last say. NOTE: Please have your dictionary at hand (or online dictionary) to help with definitions to words you may not understand. Or, give me a call to simplify if you'd like help; Tes 737-932-5030. Thank You to those who have contributed to the research and input of this page! Don'ts come first because of their danger/possible dangers. New information is added to the top as it comes in. 36. 2/11/19 DON'T let groomers tell you they won't clean your spoos ears! It is to be a part of their job (as well as the owner) if they call themselves a groomer! 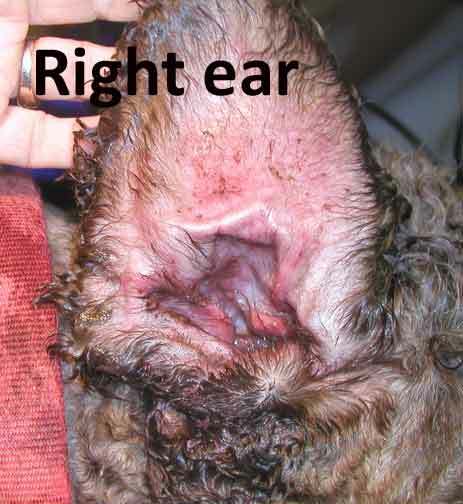 Even if it's looking at the above terrible infection picture that they pull out hydrogen peroxide and clean gently around the ear the best they can as I'm sure the customer has been going to the vet by the above point. Obviously all the customer is asking of the groomer is to help with some outside simple cleaning, or using peroxide on a tissue to dab the inside gently as possible. IT's Something!! 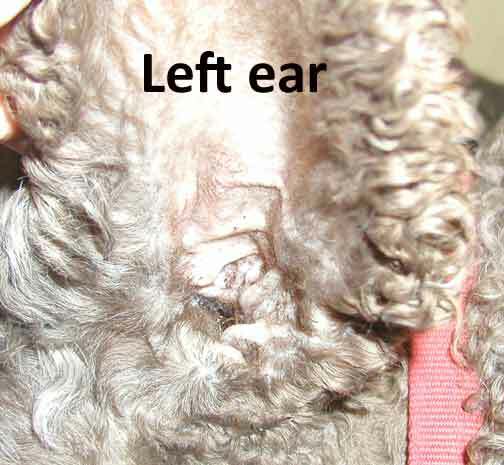 This last month, Jan 2019, has brought me to write this article up on poodle ear cleaning and what is/has evolved in groomers "Get out of the job of ear cleaning". 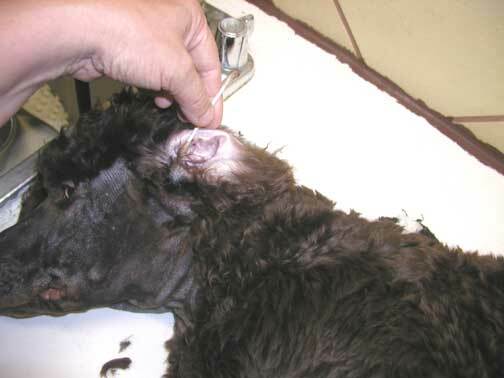 It may not be what all dogs need done, yet poodles MUST have their ears cleaned and the past 5 years I have consistently heard from customers telling me their groomers don't do ears because; a) they were told it can harm them more then help; or, b) they have an infection and they could do more harm then good. That groomer must not be prepared or think very little of their ability to do the slightest ability of helping clean. When it is dirty, as in the picture below, and needs that definite cleaning, it should be a part of their training...otherwise find a groomer who knows the importance of this in poodles! 35. DON'T bring a pup home from a breeder and not base-line TWO main things in my viewpoint on 6/8/18. Base-line your pup for 1. WORMS, to include giardia and 2. LYMES disease. A Base-lining and annual check up on these two things is so vital to their health and longevity! Worms are and will always be the #1 pet problem but I have come to the conclusion Lymes/tick born disease is #2. Tick diseases can be handled if being annually checked for...a pet can pick it up easily from anywhere these days due to the modern travel culture...EVEN IF NOT FOUND IN YOUR AREA (CBS news reel). Nothing wrong with being careful! DO use natural Cedar Oil products to deter ticks and fleas. 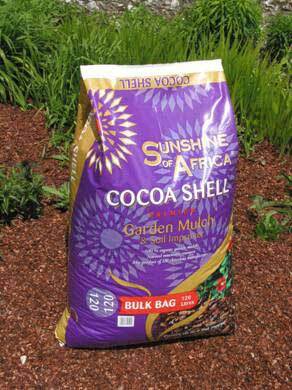 I sell these natural healthier products, drop shipped directly to you from the cedar oil warehouse. IF one uses a chemical based product on their pup like spot ons, and now found in the heart worm monthly medicine (only buy heart worm no other inclusion), one must decide; develop seizures or pick up tick diseases...with vigilant spraying of cedar oil on your pet and annual lymes vaccination and testing you can be pro-active to prevent problems. Cedar Oil will handle other tick born diseases and fleas! As an oil, it does evaporate so depending on climate and region, use once or several times a week. Don't forget to spray it on yourself when walks or hiking. DO provide constant water, place ice cubes in it, have a kiddie pool, don't fill all the way, just 3 inches that they can lay down and cool off in, they only sweat via their pads and mouth with panting, thus assure their pads are clipped down to allow air flow and cooling, long hairy paws don't allow cooling, their long hair becomes a blanket not allowing air circulation thus keep their hair shorter in hot weather to help them stay cool. 32. 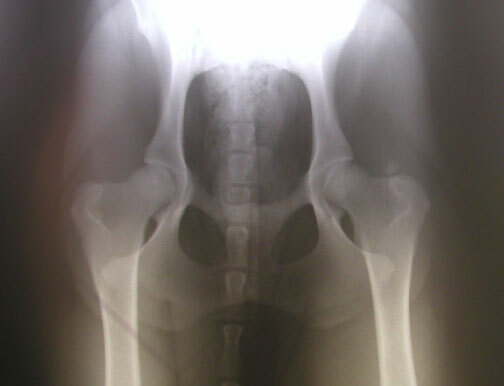 DON'T allow OVER exercise of your young puppy to cause bowing of the legs. This is being repeated on this page due (also on the FAQ pg) to the extreme importance of this message! My research is beginning November 2015 with starting the powder NUVET supplements at this age into their dog food. Getting your Nuvet supplements in place will certainly help as they grow – VERY FAST, ACCELERATED fast! In early February 2016, we noticed one day as Dino played in the yard, that his front right and left legs appeared to be “toeing in” as he walked, ran, played and jumped. At this time he would have been just over 5 months old, and had grown into a healthy and dense weight of 42#’s. Bells went off in my head, as I recalled reading on your page of "Royal Poodle "FAQ" tab, that this was something Important to deal with right away. This section, #6 I recall, speaks to an owner noticing that the new puppy has legs that appear bowed and asks what to do. The information that you’ve noted in this section is spot on in being the best resource to this issue. After speaking with you through email and phone and agreeing that the 2 products on your site could be the solution, I called Revival Animal Health and spoke with them about their Breeders Edge Oral Cal Plus product and Doc Roy’s Health Bones supplements. Given Dino’s weight and activity level, we decided on administering a course of (2) 30ml syringes of Oral Cal Plus - at an accelerated level and once this was completed, we continued with the Healthy Bones supplement until he reached 11 months. Revival Health also recommend limiting Dino’s activity level to give the Oral Cal time to support the long bones. 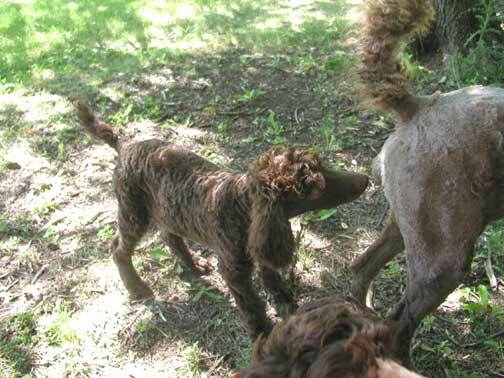 We did reduce his free play with the other poodles but continued to allow him to explore as a puppy should during those development months, but under careful watch of either my husband or I. Jumping off of something was his favorite new thing, which we really took to reducing as best as possible. As well we limited his walking on hard pavements and such and restricted his time out on leash with the pack for morning and evenings walks. The long bones really can take a beating in a simple morning stroll if it’s all hard road pavement or concrete, so we avoided those routes and found plenty of grass strolling. Today Dino flies like the wind, keeps up with is super lean 3 year old brother Nico and has the tolerance to play with his 7 yr old sister, Kara, who can spin faster than most spinner tops in either direction! He’s out with us twice a day for our mile walks and never misses a beat. Seriously though…….this leg bowing could have been devastating for Dino’s development and confidence as he matured. Had I not been thorough in reading your site on a regular basis, word for word and page for page….I would have never known where to start to find a solution. More importantly - had the information NOT BEEN THERE….I wouldn’t have had the opportunity to read it and remember it…now that would have been catastrophic. Your website is a wealth of vetted, current, important, realistic, and life saving information. A MUST READ for every poodle puppy owner. We thank you for not only breeding an incredible lineage of Royal Standard Poodles, but for also being a resource to us Owners from the moment we choose our new puppy and through our exciting new journey. 29. DO! register your Micro-chip information with your vet, AKC, Re-Unite, Home Again, Avid or other brand your breeder/vet supplies information on. AKC Re-Unite website and registration Tes pays for it - YOU register it! 28. DON'T! 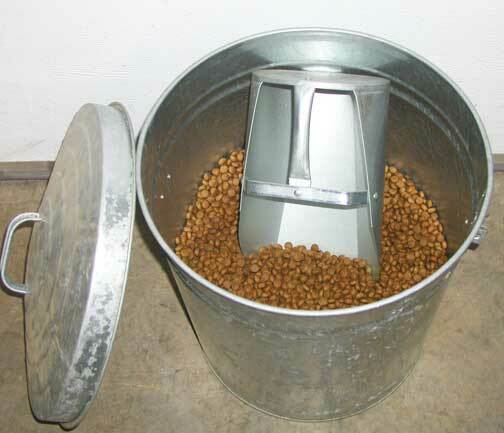 dump your dry dog food into a generic plastic container for storage! Use a metal container. It'll protect your Standard Poodle Health. Oils in the food go into the porous plastic (it really is porous, I was a plastics project engineer) as it stores in the pores causing the food to go rancid causing toxicity in your pet. One will start to smell an odor over time which is the food going rancid. 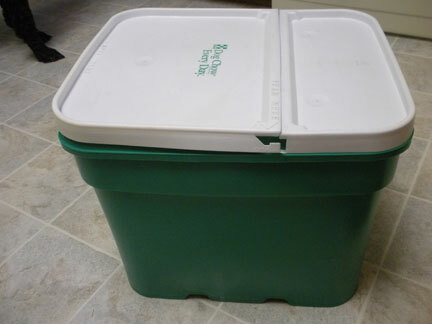 Pets eating the food over time will build up toxicity and cause poor standard poodle health issues.I went to a breeders workshop and brought up the question as my husband a week before had started emptying the food out of the original bag into the plastic container it was stored in and I started to smell the rancidity build. 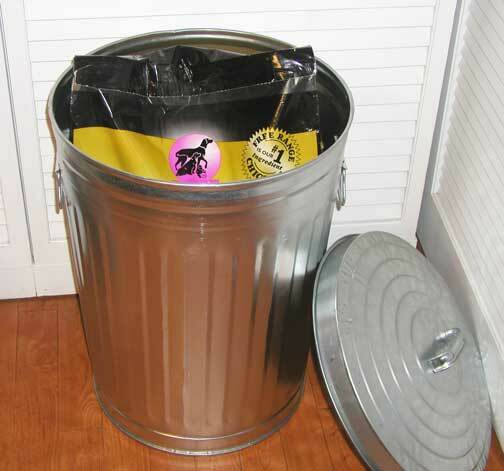 I was using generic plastic garbage cans. Whew, exactly as I thought, the instructor warned everyone never to dump your food into a plastic container. You may place the dry food bag it comes in, into the container, she said. 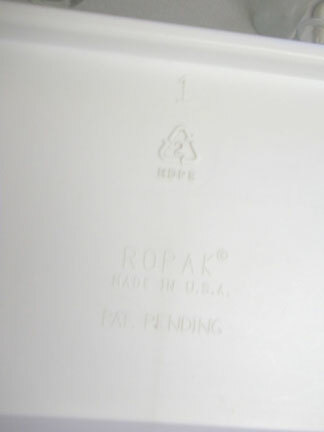 Plastic containers should come with warnings! So many things we have to be alert to. I also want to recommend for the humans to watch the DVD "King Korn" and read the book "Seeds of Deception," the toxicity in our bodies have been deceptively building due to certain industry giants deceptive practices...and we think other countries are bad :-( Sorry if my age is looking at what might be considered political to some. I am dumb-founded to what has been slipped by the US people as safe. It's your health, not just our standard poodle health I'm considering. sees rust, time to get a new one! 26. DON'T over exercise your pet with jogging or too long of walks up until a year of age when their hips have had time to finish their growth. 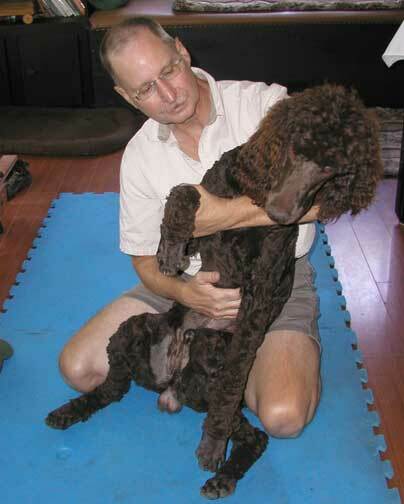 This will help stabilize your Standard Poodle Health. In 2009, MN passed the law for small animal services to perform chiropractic work on small animals. 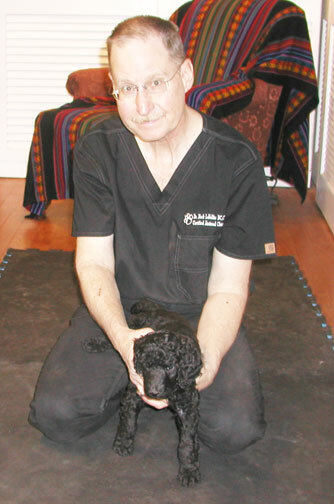 Click here: I have put together this web page for you to READ and OBSERVE the need for chiropractic care for our pets! 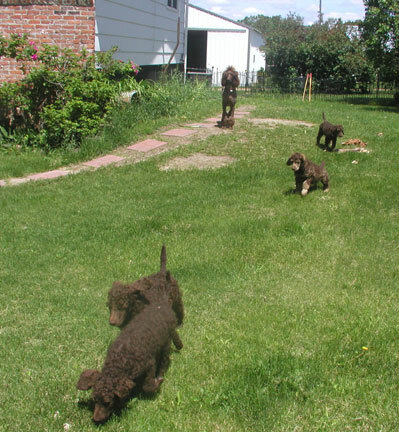 Our/your puppies are chiropractic adjusted before they leave to their new homes. Thank You Dr. Mark LaVallie!! 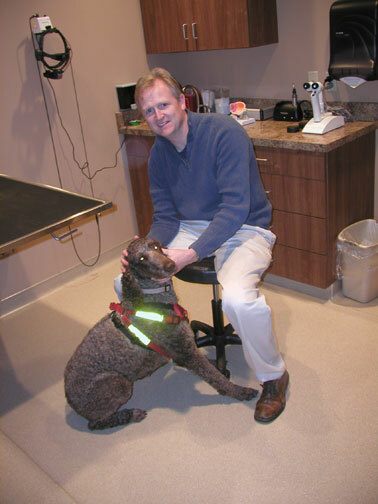 Find a vet that you can take your pet to for chiropractic adjustments - you'll be glad you did! 24. DO swim your pet if possible, it is healthy exercise for their joints. NOTE: As a breeder, I have done my best to research and determine what is the best information I can provide my customers/potential buyers with having a healthy hip program for my adult breeders. The side FAQ tab > under "About Health & Grooming" section > question 2. will provide you understanding on this as well. VWD (blood disorder): Von Willebrand's Disease is done on each of our breeding pets to assure you receive pups from a healthy line. Why I test for Neonatal Encephalopathy to assure healthy pups for my customers. Veterinarian data: Vetinfo--a veterinary information service Always find a vet you can work closely with. Yet, I do not believe in taking my Royal Standard Poodles to the vet at every little thing. That is why my gift to you of the FREE used book "Your Dog His Health and Happiness," by Louis Vine. 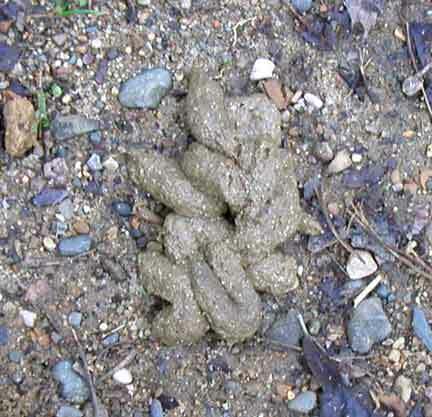 On occasion a pup or two may develop an umbilical hernia due to one reason or another: a) mom's chewing and tugging chord at birth; b) a pre-mature birth from a weather barometer drop before due date has not allowed closure development of the natal area, this may leave undeveloped naval closures; c) as puppies grow and develop so rapidly, closure may not keep up with growth; d) the umbilical hernia usually is small enough that they could eventually close on their own yet when spay/neutering can be repaired at the same time. 20. 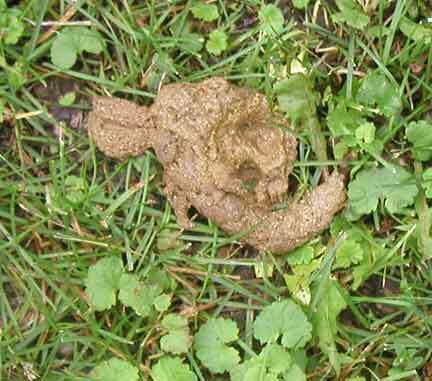 DON'T buy your Royal Standard Poodles a cheap dog food. NOTE: The most important tip I feel I can give is this; Royal & Standard Poodles do have sensitive stomachs, passing gas, flatulence. Pet chiropractic adjustments may help with this yet over the years of business, customers have shared their beloved pet died of bloat. We raised cattle and I can tell you about bloat. Visit with me on this for more information. 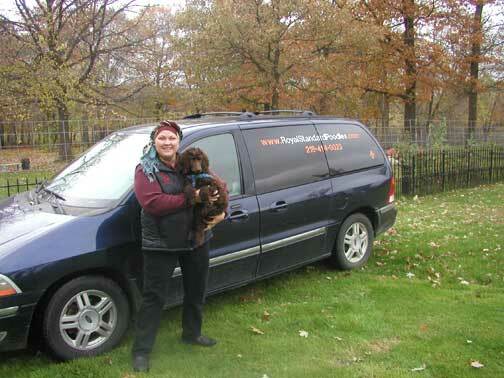 With permission, the site where I began my research to find the best dog food for Royal & Standard Poodles. I purchased this book and went from there... "Poodle dog food data". And if you're interested in finding out more of what he writes, google "W.D. Cusick" to see what you can find. www.dogfoodadvisor.com and their 5 star foods I rotate the spoos food between Vets Choice Health Extension and Blue Buffalo Grain Free, all dry dog foods. These help eliminate the smelly flatulence problem 80% - GONE! - and the research continues > . Dog Food Contamination Research is scientific research done by Agilent Technologies scientist Sue D'Antonio and team for you - FREE! So, in agreeing to get a pet from us, it is in our contract that we will guarantee a healthy pet for two years as long as a 5 star Grain Free food is provided your pet...Remember, Mother Nature has the last say in things beyond our control. 18. DON'T feed your spoos chicken or pork bones. 16. DO put aside a savings account for your Standard Poodle Health, a cracked tooth from chewing bones may occur - pull it, let them chew! It's that or major gum and teeth health bills later in their life. 14. June Bug Season + 18. 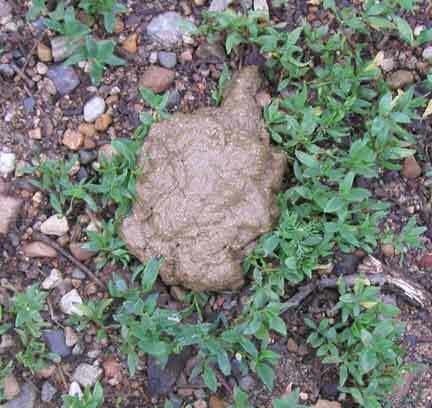 The Scoop on Poop! 17. Does your state have June bugs? What I've observed and validated by the vet is the fact during the months of May - July these flying protein bugs love to be eaten by the Poodles and puppies. Check their stool for bug residue and you'll know for sure! They don't digest it all. 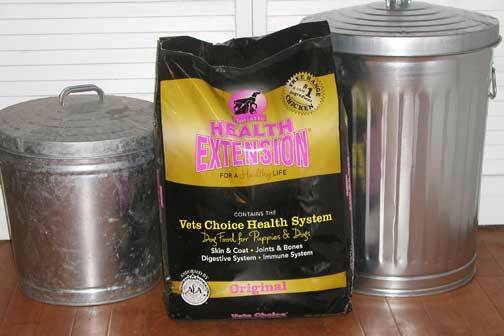 Monitor their eating habits to assure their not eating anything other than dry dog food until they balance out. DO check with a vet if their might be a parasite if you don't see them eating bugs! during June bug season one would see their stools on the scale of 2-3, and their is June bug dark shells in the stool. 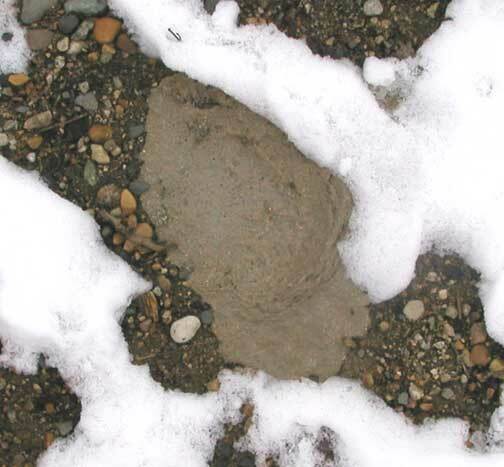 the bacterial enteritis coccidiosis could be the culprit, sometimes blood in the stool, may show as negative in the vet stool checkup. My vet has given them Albon to resolve this. May take a week or more. 6. 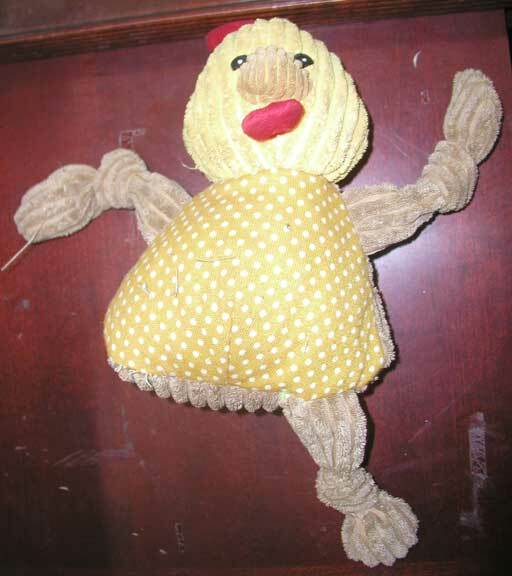 Stool with fabric toy and stuffing fiber that does not dissolve and tears up their colon...Provide HARD Kongo balls and toys instead...these aggressive chewers do destroy them eventually but definitely not as easily as fabric toys. More often then not these fabrics do pass yet does tear up the colon for a bit. 12. 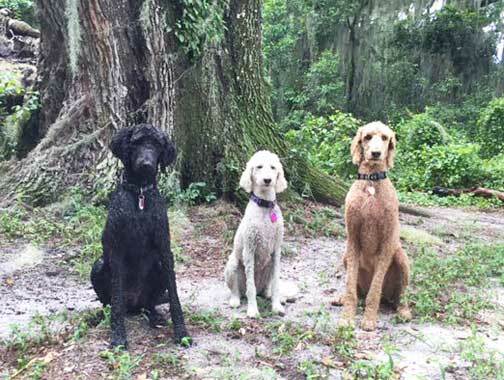 DON'T feed grapes, onions, chocolate or milk products, they are poisonous to their Standard Poodle Health! Google to find more toxic foods to canines. Organic Carrots; not other baby carrots as these are washed with certain agents we should be cautious of...unless they're organic ones :0) Use a big carrot, washing and dicing them as treats. And, raw apple cubes and raw cubes of squash are great for both of us! 9. DO check on things that might be in your breeder's state that might reflect in your pups health down the road. If you didn't, and something comes up with your pet, call the breeder and share any symptoms. This way you can inform your vet to look out for "_____" that may be from the state you received your pet from. Like some states have mosquitoes which can carry heart-worm. 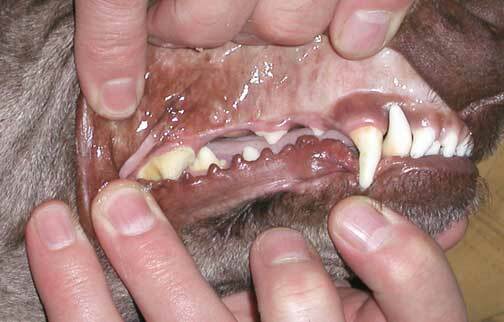 Make sure they have been (if an older pup)/will be (by you) treated for this. Make note if there are/were any bugs they may tend to eat creating diarrhea for a time frame. Do they have wood-ticks that could carry Lymes disease or Antiplasmosis, another tick carrying disease. Once symptoms of aching movement show up, call ASAP to get your pet in as this is treatable with drugs and shows a turn around within a week! Sure wish us humans could turn around from Lymes disease like that! 8. 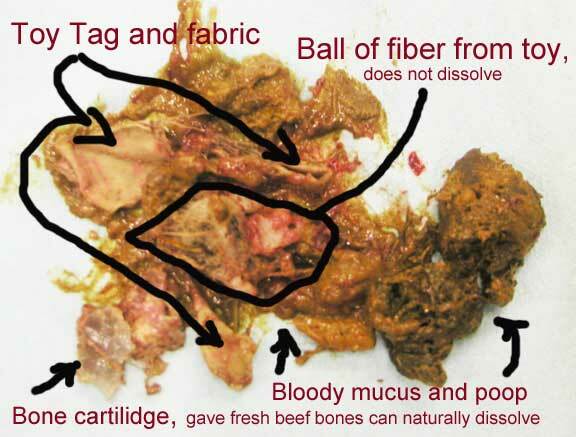 Don't purchase from a breeder who does not do CERF eye testing on their lines. You could get bad hereditary eye issues (not all are bad) if the breeder is not being open and honest with you. Brown: I have had excellent CERF test results since 2004 in breeding this color. Black/Blue: I have had excellent CERF test results since 2008 in breeding this color. Red/Apricot: CERF results on Red Daniel 2012 showed PPM > remnants on iris, no strands, no significance other then cosmetic per eye specialist Dr. which then gets no designated health issue "category" as it is not anything but cosmetic. A red puppy from his first litter 2012, at 9 wks old, was checked by a specialist to have this as well. No significance other then cosmetic and being so young could finish dissolving by adulthood. The Doctors, when asked if hereditary, said no, "Happens in dogs as well as humans. These are NO health issues." It should be done annually by a breeder. As I live 3 hrs from the nearest clinic, sometimes I am only able to do it every other year...try packing 8 spoos in a mini van and head out to the Twin Cities - Ooftah!! It's great when we have dog shows in the area as they will have CERF eye clinics I can take them all to and get done - YEAY!!! Do have your pets eyes checked out by a specialist if you find their eyes giving them issues. 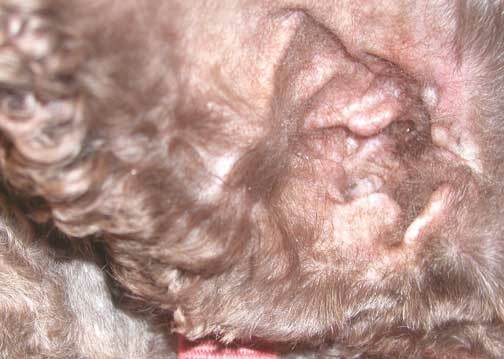 Do google for Sebaceous Cysts on dogs. Some great data and youtube info by vets out there. It is totally different from the Sebaceous Adenitis skin disease. 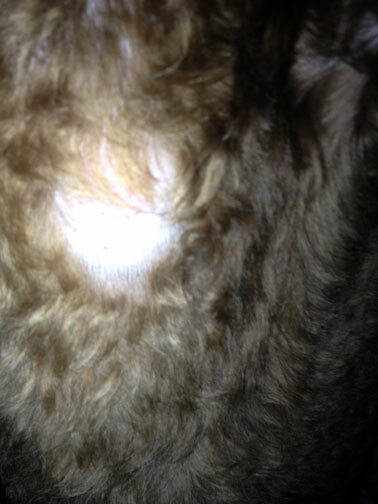 Many breeds have sebaceous cysts (non-benign fatty oil build up), little bumps that contain a cheesy like fill if squeezed out correctly, otherwise they get large over time and may need surgical removal...a phone call can help understand. 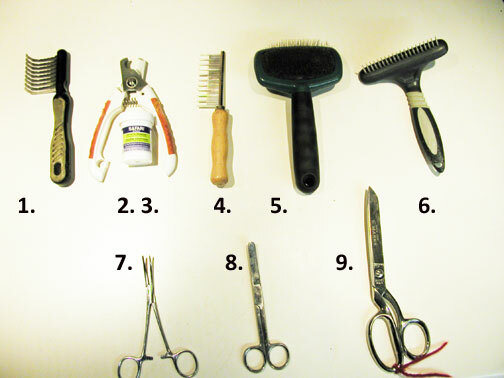 In the spring I shave all my spoos down in order to check for these and to watch for wood ticks. Helping them to eat raw foods with more oils, squirting omega oils on their foods all help to provide more oils to their skin as it is the constant dry dog food that does not help the skin with its needed oils. I shave the spoos all down with a #10 blade in the spring that I can check for lumps and bumps, handling what needs to be handled because their long coats hide so much. 3. Don't - Allow your adult spoos to tear apart a plastic toy. 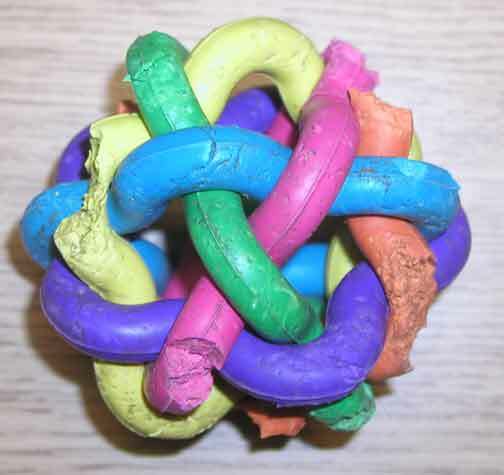 As puppies some toys will be great, yet as they get older they become more aggressive chewers and will destroy them quickly and eat the plastic that they break free from the toy. When choosing a toy for your pet consider their age, look at Kong Products as they are more sturdily built and last longer! 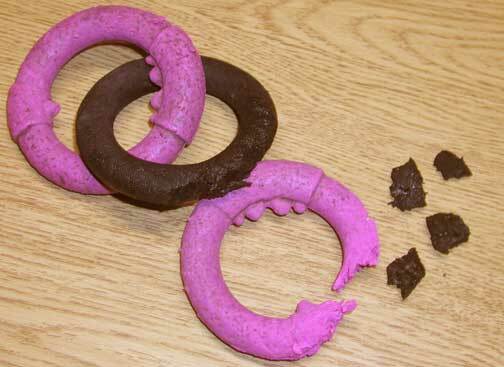 See pictures below of adult destruction of toys that worked fine while they were a pup. 2. Do - wash yourself and your pet thoroughly - immediately after #29 above! Let me know if you have Don't s and Do's and I'll place them here for awareness! Buying from us: If you’re interested in purchasing a Royal Standard Poodles puppy, contact Tes via the form below for further information or call me at 737-932-5030. It is important that new owners become informed of what will be ahead in owning one of these incredible pets.